Jode Designs: DIY Week.. 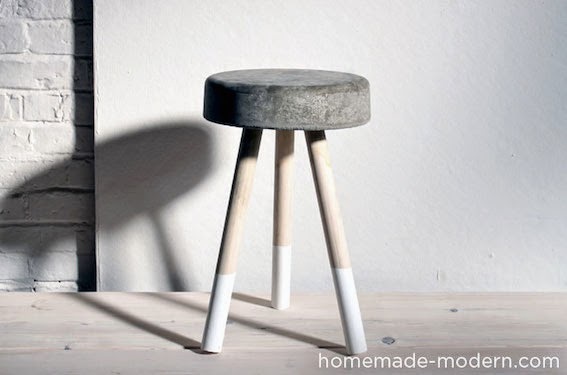 Being creative with concrete.. I love a good DIY project..
whether its restoring something old or creating something new with raw materials, using your hands to create masterpiece is very fulfilling.. 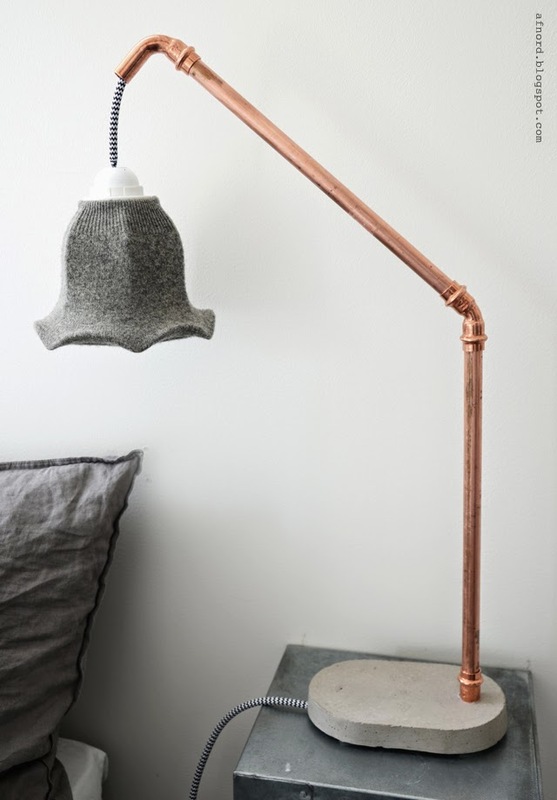 This week I would like to share with you some of my favourite DIY projects using different materials..
To start off.. Being creative with concrete.. 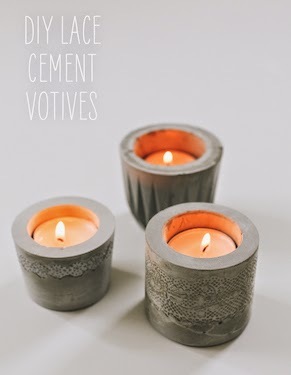 These cute lace concrete votives are perfect for a gift or just to add that decorative touch to your home.. Enjoy.. 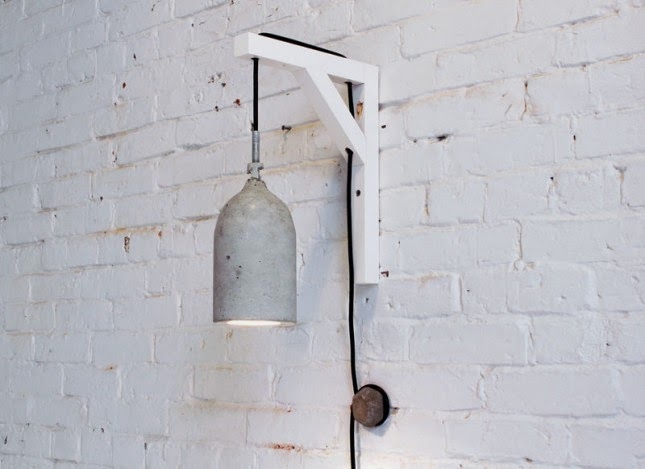 Here are two style of concrete lights.. a lamp with a concrete base and a hanging light with a concrete lampshade.. both adorable.. both easy to create.. both can be used in within the home.. Enjoy.. Hanging plants are very popular at the moment.. so why not make your own and create something a little different.. 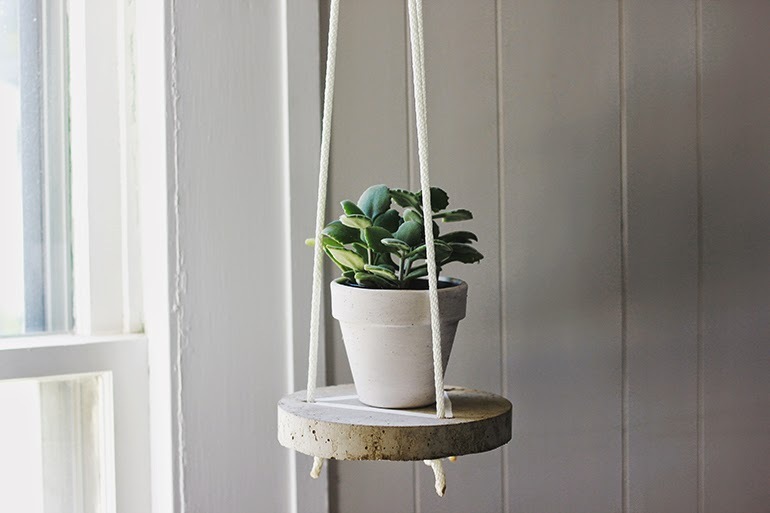 These hanging concrete tables can hold plants, candles or any other decor item.. You can hang one on its own or hang a few in a group.. Enjoy.. I love side tables.. I have quite a few of them at home.. Not only are they great for a cup of tea, displaying decorater items or a nice lamp, you can also use them for an extra seat when guests arrive.. This awesome concrete table is definitely on my DIY list!! Enjoy..
As the nights start getting colder how about making a concrete fire pit? Perfect to sit around toasting marshmallows or place a grill plate over the top and have a 'camping style' dinner.. 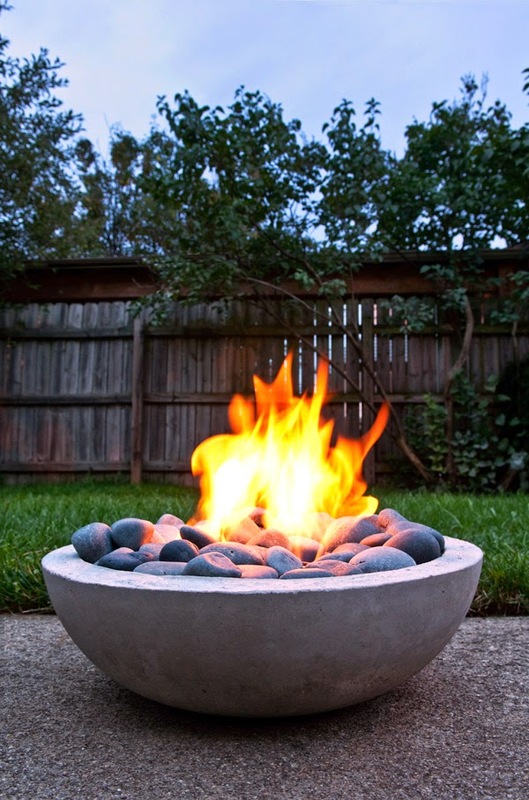 This concrete fire pit uses just two large bowls - so simple.. Enjoy..
And lastly.. letters (and numbers too!).. whether making a name for a kids room, using them for bookends or displaying one that has meaning to you.. 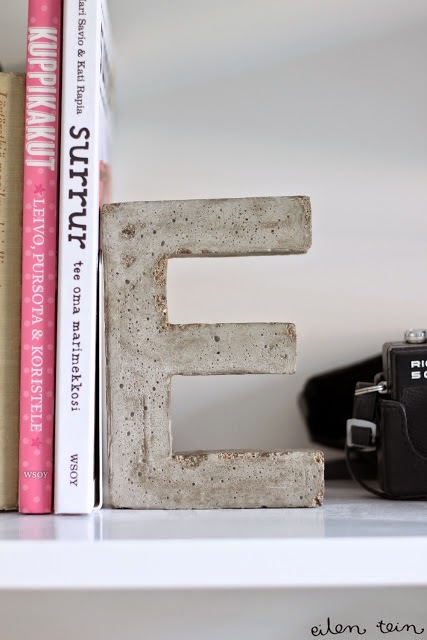 These concrete letters are a unique idea.. Although the blog post is in another language (swedish maybe?!) the instructions are clear in the pictures and you can pick the letters up from spotlight, lincraft or your local craft store.. Enjoy..